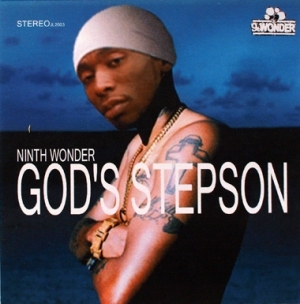 9th Wonder inadvertently pioneered the album remix when online retailer Hiphopsite.com obtained a cappella recordings of Nas’ albums, and sought out three producers to rework them with original music. He was the first in the series (Soul Supreme’s Soulmatic and MF Doom’s Nastradoomus would follow), and he chose God’s Son. The resulting God’s Stepson spoke to the creative possibilities of reworking albums from beginning to end, as Ninth honed honing a widely-duplicated approach to soul loops that mirrored Pete Rock’s sounds in their lush, hymnal power. His production sounds sun dazed, turning tracks like Nas’ victorious “Made You Look” salvo against Jay-Z into an unexpectedly wistful rumination. Few have exploited the now de rigeur mashup trend with such grace. This entry was posted in Plug One 2000s and tagged 9th Wonder, Nas. Bookmark the permalink.